The Yavapai once occupied much of central Arizona. 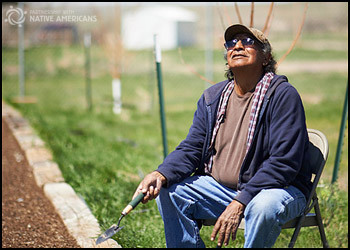 They were forced onto reservations when gold was discovered in their territory just after the Civil War. They first went to Camp Verde and then to the San Carlos Apache Reservation. Finally, they were split between the Fort McDowell, Camp Verde, and Yavapai-Prescott Reservations. 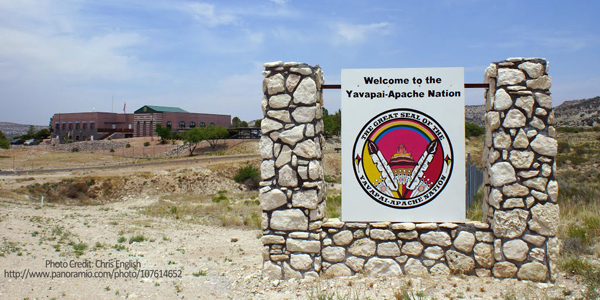 The Yavapai Indians descended from the Hohokam culture and have a language similar to the Havasupai and Hualapai Indians. The Yavapai called themselves Enyaeva, which had mixed meanings. Some think it meant "people of the sun," while others claim it meant "crooked mouth people." The Yavapai lived in bands that consisted of several extended families. They lived in caves or rock shelters, and sometimes in pole-framed shelters. These hunter-gatherers did some gardening. The bands shared responsibilities and migrated together over a large area in Arizona. They were somewhat hostile and had significant clashes with other tribes. Yavapai bands were usually led by a single male. Yavapai women specialized in basketry. Some of it was woven so tightly it could carry water. This enabled them to trade with the Navajo and Apache. Settlers started moving onto Yavapai lands in the 1820s, and before long had greatly diminished the Yavapai's game and agricultural lands. The Yavapai openly resisted and many were slaughtered.